Products – POS – TR-M300-E – Team Research Inc. 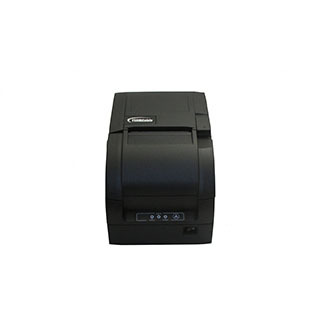 The TEAMSable TR-M300 produces clear, precise and archive quality documents. It is ideal for requisitions and receipts including coupons, rebates and special offers. Featuring trouble free drop-and-print paper loading, the extraordinarily reliable M300 provides paper “pull” technology for jam-free operation and best-in-class cutter performance. The internal power supply eliminates unsightly and messy cords and bricks.